After The Nun's Quilt won her award in Paducah this past week, there was a LOT of interest in her story. Many quilters felt how special this piece was and wanted to know more. I thought it was time to tell her story once again and add new chapters to her journey since this was last told. 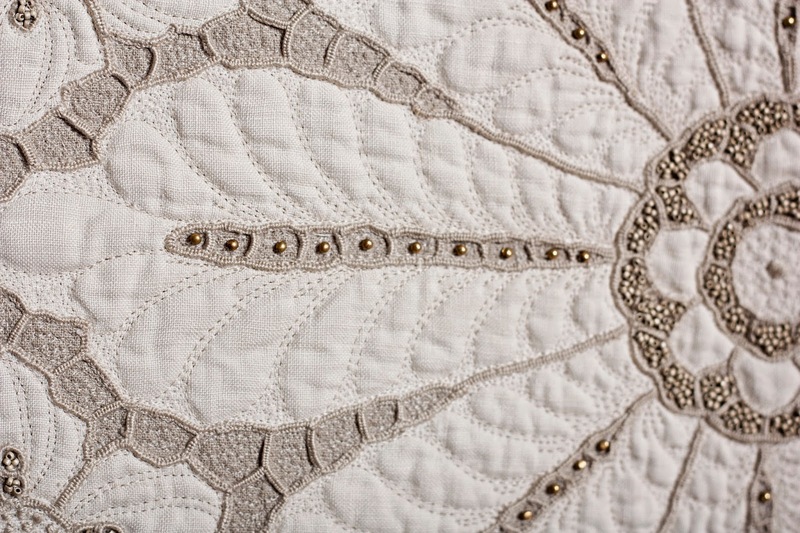 (I am adding close up shots of the quilt as the story is told). 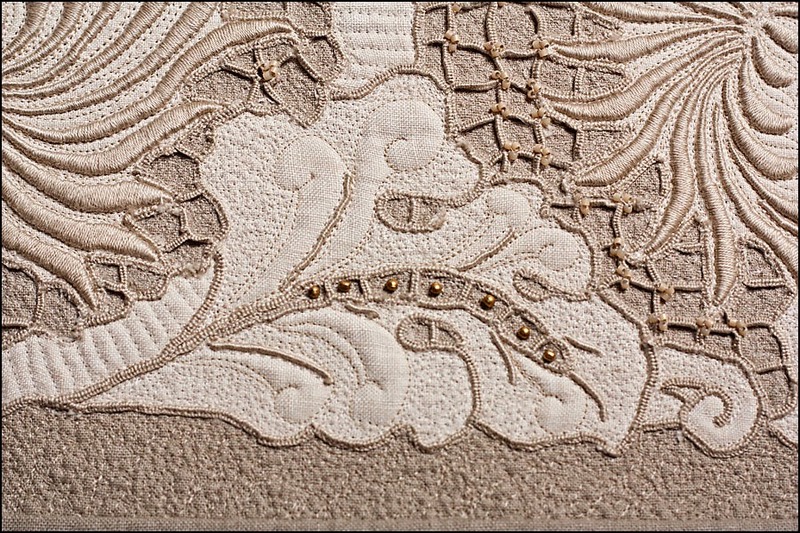 On Christmas Eve Day 2010 I was perusing around on Ebay to see if there were any fabulous linens for sale and I came across a picture of a linen that took my breath away. There was something about it that spoke to me and I absolutely had to have it...period. Fortunately there were no other bids and I acquired this piece for $75. When it arrived it came with 6 matching napkins and a small bit of history that stated this had been hand made by nuns in a French convent in the early 1940's. Wow. It also had a label attached that was written in French, had the size and the number but what intrigued me the most were the hand written letters and symbols that were on the other side of the label. These meant something but I wasn't sure what. 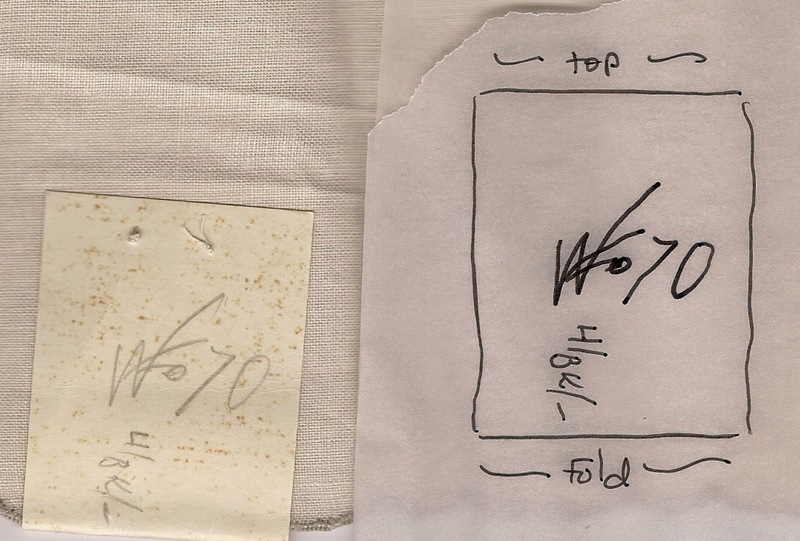 From the moment I saw the picture of this piece on Ebay I knew this was special. I tell my students that sometimes there is an energy or a soul to some of these linens and you feel it. This one does. I became obsessed while working on this piece to do some research and find out where it came from...which convent...what were the circumstances under which it was made. I felt strongly that it needed to go back from where it came. I wrote letters all year to anyone I thought would be able to help me...pictures of the linen as well as the label with the symbols/numbers were sent and unfortunately I never heard back from anyone. It was very frustrating as I felt that this piece didn't really belong to me...I was only part of her journey. While teaching for a guild in Tucson, AZ towards the end of that year I had some "down time" and really started doing some research on the computer. I have to admit that I was very ashamed of myself...I had become so enthralled with the linen's history of being created by the French nuns I completely forgot about the war. This piece was created during WWII. While doing my computer research I also found out that very bad things had happened to the nuns...I was shocked (still am) and very upset that something tragic may have happened to the nuns that I had become so attached to. I spoke for the guild the next morning presenting my trunk show and ended my program with The Nun's Quilt. I was upset and emotional sharing what I had found out the previous evening and stated that I was "done" with my research..this was tearing me up...I just couldn't do it anymore. Fortunately a guild member stepped forward and stated that I had to continue my research and had to continue to tell her story. The Nun's Quilt had become a testament to those women that something so beautiful could be created during such a time of tragedy. Who ever had created it used this piece to get her thru a very difficult time. Another member stepped forward and said that the reason I hadn't heard back from anyone is that it wasn't time yet. I had to keep researching, I had to keep writing letters and had to keep telling her story. When it was time the right person would step forward with the right clue and we would all find out the "rest of the story". 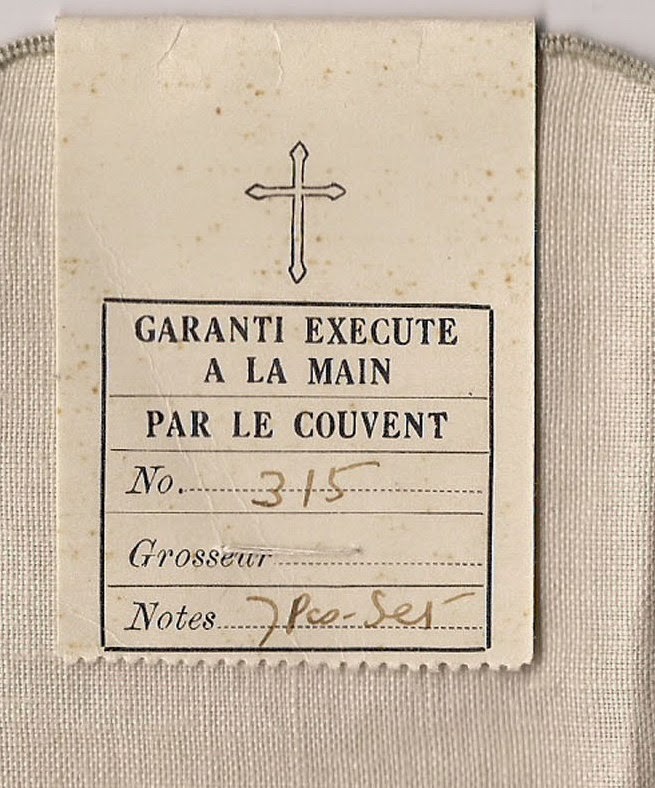 "Sister Marie Emmanuel told me that this tablecloth was probably made before or during the war. The sisters had time to elaborate very beautiful crafts. Upper and middle class people were buying them...they were part of the French traditions and the French way of life. 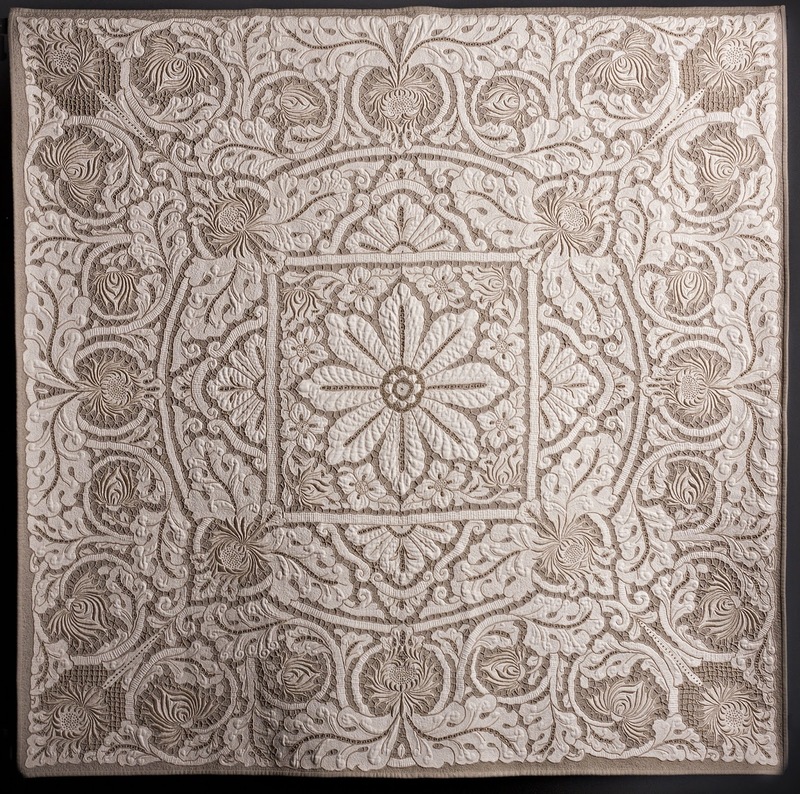 After the war the middle class people had no more money to spend on some of the finer things such as this linen. The religious communities needed money to survive so in 1950 the Monastic Shop of France, in Paris opened. I allow myself to tell you that The Nun's Quilt is now yours. You have been working on it so many hours. Now you know that this linen has been made in happiness and in the sweet protection of a monastery, you must keep it to bring luck". Chantal's letter brought tears to my eyes and touched me deeply. But I still felt there was more. I was invited to teach for the International Quilt Show in Dubai this past month and of course I brought The Nun's Quilt with me along with several other quilts. On my last evening there I presented a 2-hour program on threads but ended my evening telling the story of this amazing quilt. I was running short on time and had to catch my plane so I was in a hurry to leave. I invited my students to enjoy and touch all of the quilts while I ran to get changed. After I came back to the room one of my students was frantic to talk to me before I left. She explained that she was a psychic. When she held The Nun's Quilt she was overwhelmed with emotion and sadness. She explained that this piece was created as part of a grieving process...it was the nun's therapy getting her thru a very tragic time in her life. This was only part of Laura's message to me. She, too, felt that I was an important part of this quilt's journey. The honor that The Nun's Quilt received in Paducah this past week allowed her to be viewed and appreciated by thousands of quilters and I feel that this, too, has become an important part of her journey and her story. Congratulations on your ribbon and thanks for sharing the Nun's quilt story. It is beautiful! A fantastic story Cindy. Congratulations on your ribbon and on preserving the history of this beautiful piece. As I told told you in Paducah, this was my favorite of all the quilts on display. I went back to it numerous times, it drew me in. I love that you are bringing the past to the present. 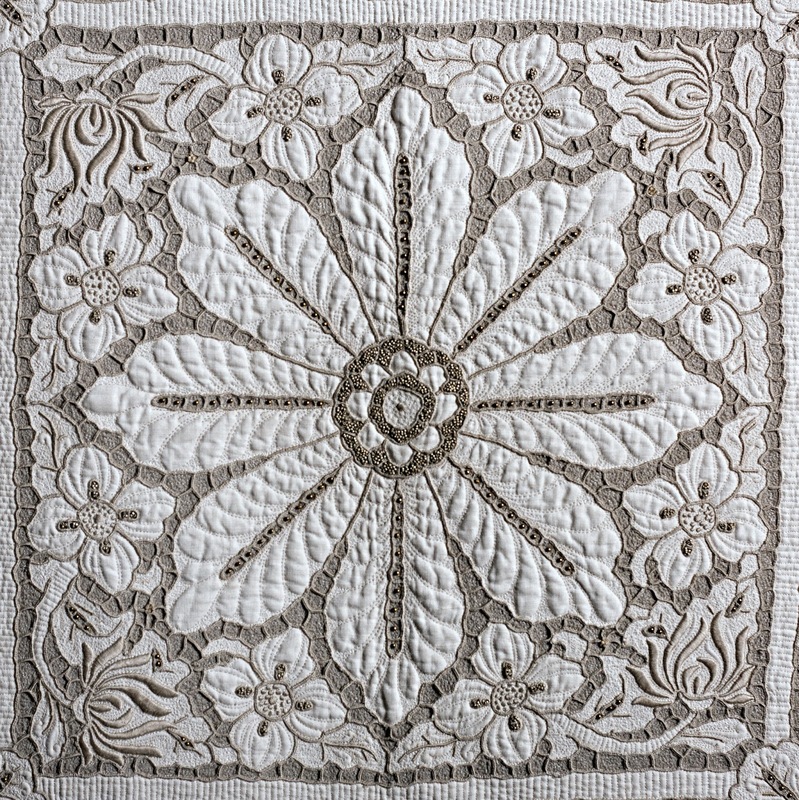 I hope too that someday I will be able to quilt well enough to bring my linens a new life. Thank you for sharing your story and your talent. Cindy, what a wonderful post! This has such meaning for you, a real journey. Cindy. What a wonderful story and journey you have been on. Congrats to you for the award. But even more congrats for finding the story of your Quilt. So happy for your win, this quilt is so special. 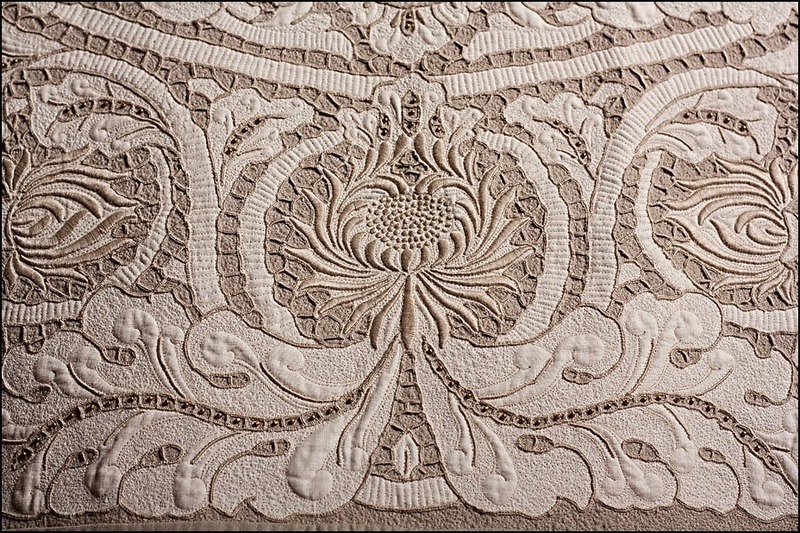 It's been awhile since I've heard how the search for the history of this quilt had been going. Amazing. Congrats again on your win and I hope you continue to find special places to share it with everyone!! I'm so happy The Nun's Quilt won an award. She is such a beautiful quilt, with such a wonderful story. Very special indeed. And I'm delighted more had a chance to learn her story. 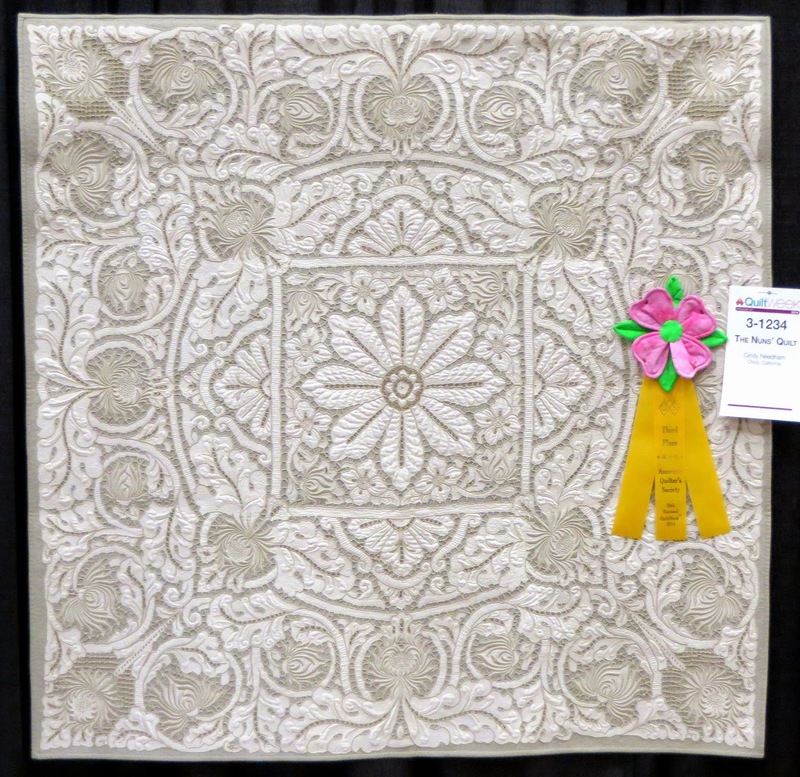 Congratulations on receiving a well-deserved award for a very beautiful quilt. I am honored to have seen and touched this beautiful work of art. 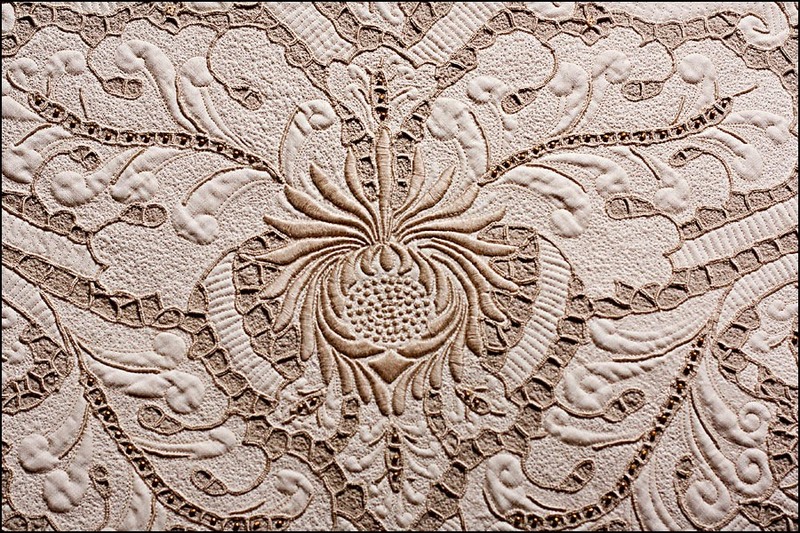 I had to come here after seeing this quilt on youtube. Your work is so beautiful; I've followed it for years, I have some of your stencils. The things that end up on ebay just amaze me sometimes....it's sad but wonderful because they usually go into someone's hands who then treasures them. As a former Catholic school girl, I can just feel those nuns smiling down upon YOUR work on that quilt.